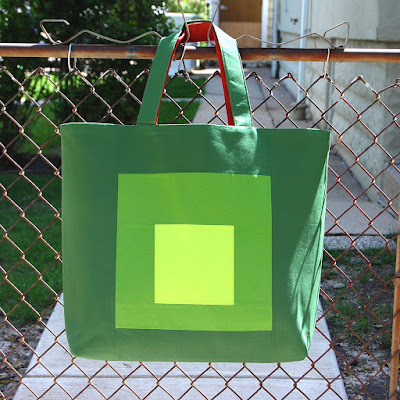 My latest free project for BERNINA's WeAllSew blog is inspired by one of my favorite color theorists, Josef Albers. The tote features a square-in-a-square design that plays with contrast of colors and value. 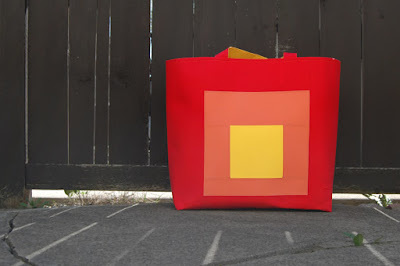 I designed the tote to be large enough to carry a few small quilts or one large one with a wide-open top to easily access whatever is in the bag. 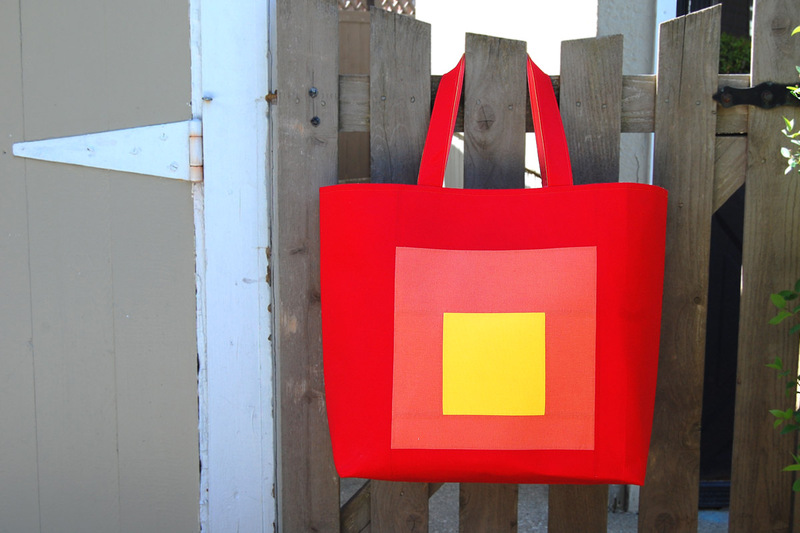 And with a generously boxed-out bottom, the bag stands up on its own. 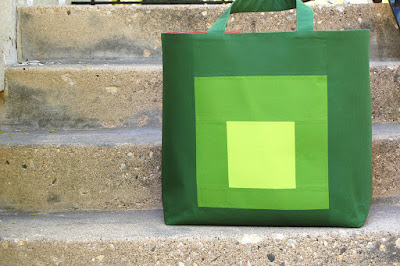 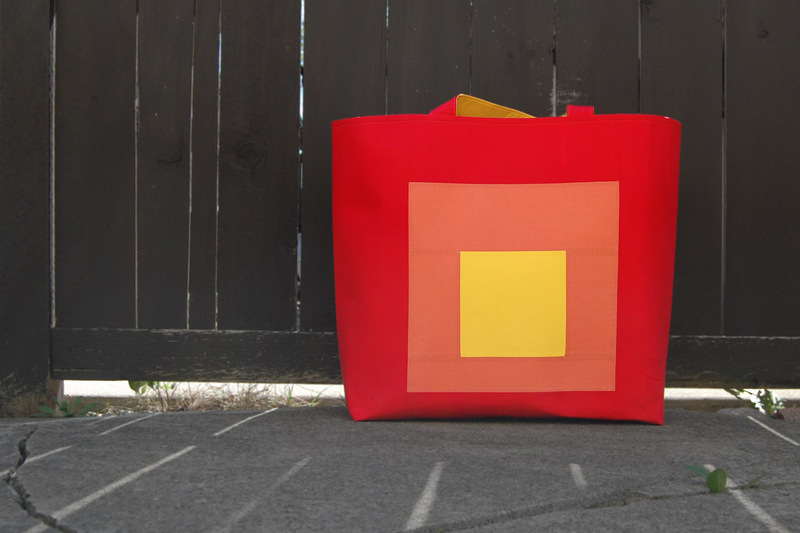 You can find the full totorial for my Color Block Tote here at WeAllSew.